It is so vitally important that you participate in transportation design in your own community -- as it impacts your time, costs, and way of life. One of many ways for you to become involved is to attend any one of the following meetings to learn what decisions are going to effect you in the near future. If you are not able to attend these meetings, consider joining WalkBikeBerks so that we are able to help you be actively involved in community design. The Reading Area Transportation Study is the designated metropolitan planning organization (MPO) for transportation in Berks County. Below is the official 2009 schedule of meetings for both the Technical Committee and the Coordinating Committee. As they are prepared and approved, links to meeting agendas and minutes will be added. All meetings begin at 1:30 p.m. and are held in the Conference Room of the Berks County Planning Commission, 633 Court Street, 14th Floor, Reading, PA. This location is accessible to persons having disabilities, and is accessible to BARTA fixed-route service. Any person having special needs or requiring special aid is requested to contact Alan Piper, Transportation Planner at 610-478-6300. Please send your Representative a message in support of safe transportation. It’s a public health, human rights, and economic development issue! For more information, visit http://www.makeroadssafe.org/. *Please note that our regular meeting location is the Holy Cross Church at 329 N. 5th Street, Reading. This location change is only for this one meeting -- and we will return to the Holy Cross Church for meetings in the future. 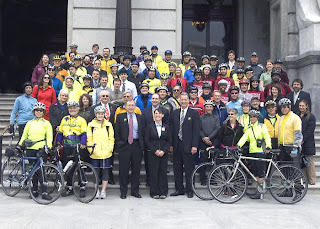 PA State Legislators and Bicycle Advocates at the First PA Bike Summit, May 5 2009. Michele Barrett is front and center. Can you find Scott and Erok from BikePGH? PA Walks & Bikes is a new organization working to create healthy, sustainable communities by making walking and bicycling safer, more convenient, and more enjoyable. On June 30, PA Walks & Bikes received a $30,000 matching grant from the Alliance for Bicycling and Walking. The Board of Directors, advocacy executives from Bike Pittsburgh, Greater Philadelphia Bicycle Coalition, and Walk Bike Berks, appointed Michele Barrett, as its new President and Executive Director. “Michele was selected”, says Hans van Naerssen, a founding member and President of the Bicycle Coalition of Greater Philadelphia, “because of her record of success in Berks County, her passion for livable communities, and her leadership skills. Since its inception four months ago, PA Walks and Bikes organized the first state level Bike Summit where attendees met with various legislators to promote Safe Routes to School, Complete Streets, and a new safe passing legislation for bicyclists and other vulnerable road users. PA Walks & Bikes was one of only seven recipients – out of 94 nationwide applications – to receive a start up grant. The Advocacy Advance Grant will be used to jump-start the emerging advocacy organization and to fund innovative campaigns with the potential to dramatically increase biking and walking. Members will work to ensure state bicycle and pedestrian laws, policies, and funding are enacted. 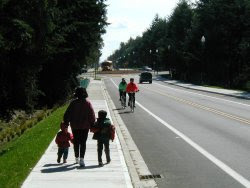 This grant is part of the Advocacy Advance Partnership with the League of American Bicyclists. “Bicycling and walking are simple, every day solutions to so many issues we face today. When Pennsylvanians choose livable communities where they can easily walk or bike to most destinations, they can enjoy better health, higher quality of life, less traffic congestion, lower transportation costs, stronger local economies, reduced air and water pollution, reduced carbon emissions, and higher real estate values. Perhaps most importantly, improving pedestrian and bicycling accommodations increases access for everyone in a community, even the most vulnerable road users. While no single measure can ‘fix’ all of the problems we face, I am excited to work with the many others who are making biking and walking part of the statewide approach to get Pennsylvania moving again,” Michele Barrett. The new grant combined with matching contributions makes this possible. BUNCO For Bicycles DATE CHANGE! Think you've got the skills to take home the Grand Prize? Then we'll see you at The Barn! DATE OF EVENT HAS CHANGED. Guest Speaker Kimberly Murphy BUNCO! the Breast Cancer 3-Day Susan G. Komen Walk for the Cure. The City of Reading is writing the second phase of the Bicycle Friendly Community Application. Emily Weidner says she wants nothing more than to put us on the map -- Bicycle Friendly Map, that is. She wants see a "Reading is Bicycle Friendly" sign posted as she rides into the city on one of her regular commutes, "in my lifetime." 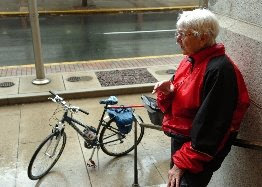 At 82 years of age, Emily has been a leader in community education and encouragement for bicycling most of her life. She is a former President of the Berks County Bicycle Club and a retired League Cycling Instructor. She has done many bicycle education projects and was instrumental in leading Bike to Work 2009 for our county. Emily is now the Bicycle Community Committee Chair appointed by Mayor McMahon to lead the Reading to become a Bicycle Friendly City. Emily initially organized a small committee of volunteers in 2007 and has been working steadily to gain support and information to complete the application. Andrew Miller, Planner I, worked hard to finalize the phase 1 application and submit it to the League of American Bicyclists. With increasingly busy schedules, hiring freezes, and the general state of the economy, the writing of the Bike Friendly application phase II has been delayed, for obvious reasons. City staff are also loaded with the stimulus frenzy that has directly effected their project planning and implementation -- causing them to have quite a lot to do in a very short amount of time. Undeterred, Emily continued to ask, "How can we get this done?" The project has gained new partners and increasing community support because of her commitment. Now, Juan Zabala, City Intern, is coordinating efforts among city and county stakeholders to complete the paperwork and submit the application perhaps as early as August. If that deadline is missed, the BFC Committee will work to reach the next LAB deadline in March 2010. Certainly, your input and contributions are always welcome. Write the Mayor's office and thank them for their time and willingness to make Reading, Berks County, PA Bicycle Friendly. Well done Emily! Well done! Berks County is BUNCO for Bicycles! Bunco is a silly, mindless dice game played with wild abandon. It is a social event. It's a party. It's a blast! Bunco is a game of dice, played in rounds. Players take turns rolling the dice and trying to accumulate as many points as possible to win each round. The game is played at tables of four, in teams of twelve. Similar to the game Yatzee – players roll for 1’s, 2’s, and so on – trying to get a BUNCO! by rolling all of the same number during the round.At the end of the round players change seats and switch partners so you never play with the same partner twice in a row. At the end of the night wins/losses and Buncos are tallied and PRIZES ARE AWARDED! We will have snacks and drinks. We'll support live-saving causes that will make big changes to our local communities. Pictured: Mike Myers, Owner of SPOKES Bike Shop and Dean Smith of PowerBar -- Two members of the Berks County Community who give their time, talent, and financial support to help us make Berks County safer, healthier, stronger, and more livable. In May 2009, WalkBikeBerks promoted Bike Month with a list of events and activities meant to encourage more people to consider biking for transportation, fitness, and fun! If you weren't able to join us in May, don't fret. It's never too late to join us for a bike ride or walk in Berks County. Visit our online calendar to learn more about what we're doing now to stay active, promote bicycling and walking, and make our communities safer, stronger, healthier - more livable. Above you see two of the winners of our Bike to Work Commuter Challenge. We gathered at Spokes Bike Shop on July 3 at 6:00p.m. to present the winners with their prizes! The winner for the Spokes Team jersey was not able to be present but we will be mailing him his brand new Spokes Bike Jersey that dons the WalkBikeBerks Logo. Scott won a gift certificate for $200 off any merchandise at the shop. Dean took home a certificate valued at $50 off any merchandise at Spokes. Please note that Mike Myers has indicated the Spokes team jerseys (which have WalkBikeBerks logo on the front and the back) are normally $60 but any WalkBikeBerks member will receive a 20% discount! If you would like to become a member please see the donation information to the right of this entry. Winners 09, originally uploaded by walkbikeberks. 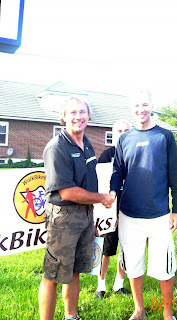 WalkBikeBerks thanks Spokes Bike Shop for the generous support of Bike Month and their contributions to the winners of the Bike to Work Challenge! 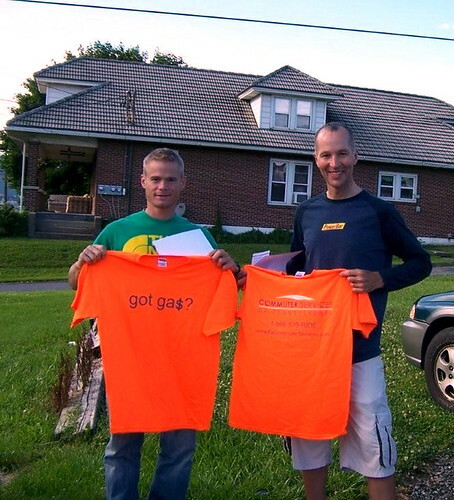 Special Thanks to Jeremy Slonaker for his efforts in planning and promoting Bike Month. Senators Tom Harkin (D-IA), Richard Burr (R-NC), Bernard Sanders (I-VT), Jeff Merkley (D-OR) and Susan Collins (R-ME) have joined together to introduce the Safe Routes to School Program Reauthorization Act (S. 1156). This is an exciting and important step forward as these five diverse Senators have agreed to champion the federal Safe Routes to School program. To get more Senators to step up as leaders on Safe Routes to School, we need your help. Your Senators need to hear from you about the importance of growing and strengthening the Safe Routes to School program in the next transportation bill. The Safe Routes to School program encourages students to walk to school by building sidewalks, making crossings safer and providing outstanding safety education and encouragement with fun activities like Walking Wednesdays. 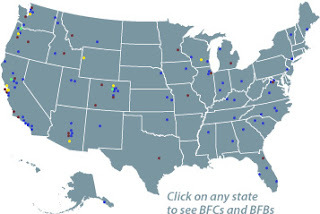 Please take just five minutes to contact your two Senators to ask them to show their support for the Safe Routes to School (SRTS) program by co-sponsoring the legislation. To do so, click here. I applaud every school who is working hard to reduce or eliminate property tax increases. I also applaud those doing all that they can to keep increases low. Keep in mind that despite phone calls, personal approaches, and letters to Exeter Township School District in 2007 and 2008, the school board failed to apply for a Safe Routes to School Grant for up to $1 Million Dollars to create better, safer walking infrastructure in our community -- grant money that would have kept our local costs lower in building a new LEED school. In addition, they failed to apply for a 2008 PANA SRTS Academy mini grant that could have built capacity or education and outreach. 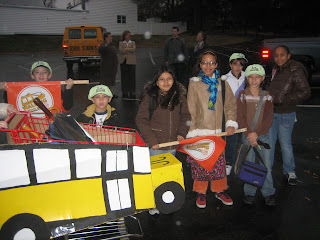 Please encourage every school district in our county to take advantage of the funding that is available to them -- Call, write, and attend your school board meetings to tell them about PANA's Safe Routes to School Mini Grant Program opening this fall -- 2009. Fiscal responsibility includes working hard to find the resources to continue to provide excellence to our children despite economic hardships. In the physical activity and public health research arena, the interest in the immediate housing and residential neighbourhood environment (e.g. crime rates, road safety, street connectivity, footpaths and cycle ways, design and maintenance of neighbourhood, visibility of stairs, central shopping facilities, availability of physical recreation facilities) is relatively new. However, evidence shows that residents living in high-walkability neighbourhoods are more likely to engage in regular moderate physical activity than residents located in a low-walkability neighbourhood. Moreover, studies underline that an unsafe and unpleasant residential area may deter people from walking around their local neighbourhood and engaging in leisure-time exercise. For this reason physical activity, and per consequence, obesity prevalence rates at the population level may not improve until neighbourhoods are made more walkable and usable for leisure-time physical activities.